The Continuum Consulting Team is comprised of a great group of talented consultants with diverse skill sets. This allows us the flexibility to meet your unique needs by matching the right consultant to your project and culture. Wendy B. White is the Co-founder and CEO of Continuum Consulting. 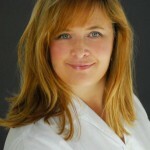 Wendy has shared her passion, insight, creativity and wealth of experience with her clients for more than 20 years. She works with a wide range of sectors including Fortune 500 companies, government, educational institutions, International NGO’s, non-profits and social entrepreneurs. Along with external consulting, she has held internal Organizational Development Consultant positions at FHI360 and Blue Cross Blue Shield of NC. This combination of experience allows her to go beyond Best Practices theory of consulting to an insider’s understanding of the challenges clients face as they navigate cultural norms, employee engagement, differing personalities and company politics. 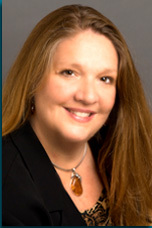 Wendy quickly understands client needs and challenges and will custom design the appropriate solutions. Her more recent client challenges focus on the human component of acquisitions and mergers, launching and developing leaders and teams, employee engagement, strategic planning, executive coaching and meeting facilitation. Wendy’s creative prowess comes forth in meeting challenges and opportunities of a global economy, and her endeavors this year have taken her to Ghana, Mexico, Italy and Ireland. Wendy has a BS in Education and Recreation Administration and a post-graduate certificate in Organizational Development. She is a member of the Experiential Based Training and Development Alliance, Triangle OD Network and is certified in Myers-Briggs, Appreciative Inquiry, as well as a number of 360 and multi-rater assessment systems. When not consulting, she keeps life in balance with her love for kayaking, sailing, traveling, music, volunteering, gardening, entertaining and enjoying her two adult children. On the side, she is producing a documentary with Empowerment Project. 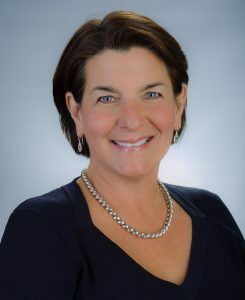 Lisa Marie Main, Co-founder of Continuum Consulting, is an accomplished leader, trainer, consultant, executive coach, and facilitator of interactions that lead to alignment and results-based action for business and organizational leaders around the world. Her acute understanding of the subtle energies and dynamics in human systems, coupled with creativity, are brought-to-life in her client interactions. Lisa is passionate about unleashing the potential of humanity. Over 20 years, and counting, she fulfills this purpose in the many roles she serves from leading a country-wide Appreciative Inquiry process in Azerbaijan to engaging leaders and teams in adventure-based programs to, most recently, serving as the Chief Operations Officer and Master Facilitator at Verus Global, where she partnered with executives and senior leaders of Fortune 50 companies such as Procter and Gamble, JP Morgan Chase, as well as Nestle, Alcon, Kellogg’s and many others. A life-long learner, Lisa earned a Masters Degree in Applied Behavioral Science with an emphasis on Leadership and Organizational Development, and was a Continuing Studies Instructor at Duke University. Since 1999, Lisa has incorporated into her work, the knowledge of, and fascination with, somatic-systemic approaches such as Systemic Constellation Work and other holistic practices supported by neuroscience and interpersonal neurobiology. She enjoys life’s adventures living in Colorado, with her husband, Tim and daughter, Hallie where they enjoy skiing, climbing, hiking and camping. Pamela is Partner in Continuum Consulting and heads the Georgia office for the group. She is an international facilitator, trainer and coach, combining skills from her strong and varied background to specialize in leadership, organizational effectiveness, and management coaching. Pamela spent 18 years in corporate roles including operations, training, sales and CRM, working with start-ups and Fortune 500 companies spanning manufacturing, retail operations and technology, and experiencing a successful IPO and two mergers. She founded EF Consulting in 2000, and began her partnership with Continuum in 2003, during which clients in the U.S., Canada, Europe and Africa have enjoyed the energizing and forthright style of her work. Springing from her passion for individual continuous improvement, Pamela has written and recorded workbooks and CDs for corporate transitions, stress management, and goal attainment. She is a member of the Experiential Based Training and Development Alliance, is on the board of directors of the Georgia CancerHelp Program, and has been certified to facilitate the Certificate in Leadership©of Drake & Associates (originally created for Duke University), Verus Global’sPathways To Leadership Process®, Myers-Briggs, as well as a number of 360 and multi- rater assessment systems. Additionally, she co-authored the Leadership Essentials© modular series designed for management and leadership skills attainment. Pamela has a B.A. in Mass Communications as well as numerous post-graduate certifications, including coursework for client projects which span topics as broad as arson investigation, endangered species reintroduction, and global cap-and-trade policies for methyl bromide replacement. She finds balance in family, travel and hiking, gardening, teaching forgiveness classes, and volunteering for pet rescue organizations. June has more than 20 years of leadership experience in the pharmaceutical industry that has spanned roles from team leader to global VP. 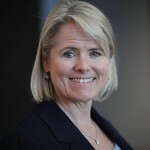 She has led large, global technical organizations as well as numerous cross-functional matrix product teams in the R&D and Commercial business areas. 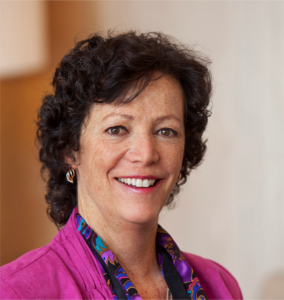 June now builds on this successful track record as the Principal Consultant at GOFORWARD LLC, developing and delivering customized team and leadership solutions as a facilitator, coach, and trainer. Her relevant experience of leading change, improving processes, and engaging staff provides an invaluable perspective to the challenges facing leaders and teams today. June received her BA with Honors in Chemistry from Colgate University and a Ph.D. in Analytical Chemistry from Duke University. Her successful career has been profiled in Working Mother magazine’s “Watch the Stars” series. Her passion for catalyzing the realization of individual and organizational potential is supported by certifications in Coaching (Certified Authentic Leadership Coach; ICF-ACC) and Lean Sigma. Victor is committed to making contributions that broaden the horizon of professionals and business communities in sustainable ways. Victor has fulfilled this commitment both as a university professor including MSUD, and business consultant. Leaders in the private and public sectors have enhanced their performance, transformed their work cultures and accelerated outcomes as a result of partnering with Victor as a coach, keynote speaker, trainer or facilitator. Victor is the founder of Velocity Leadership Consulting, with three decades of experience in K-12 institutions, higher education, corporate and community organizations around the world. He received his doctorate in Education from Colorado State University. When not with clients, you can find Victor with his wife, strolling the beaches and forests in sunny California. 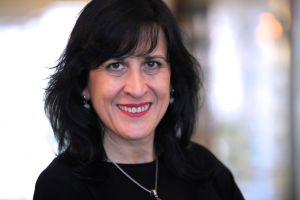 As a passionate believer in lifetime learning, Pilar Pardo Cembrano has shifted her diverse corporate background into a position as an internationally respected trainer and master coach. Through her own consulting practice Pilar specializes in Leadership Development, Communication, Organizational and Cultural Change, and Design Thinking for corporations across the globe, and has performed more than 2500 hours of individual and team coaching. Additionally, she acts as Program and Certification Leader for the CTI Coaching Program (for The Coaches Training Institute) and serves as a Certified Master Facilitator for Verus Global. Since 2008 Pilar has collaborated with ESTRADE Business School as Business Strategy Master. Pilar’s prior highlights include 14 years with Procter & Gamble, increasing her competencies in the diverse areas of Marketing, Logistics, Engineering and Production, and allowing her to experience living in varied cultures as she moved to several countries during her P&G tenure. She is a continuous learner who dives into training across many disciplines, undertaking some certification coursework to better serve her clientele and some to follow her own interests. These include Coaching Systems Relations and Organizations (from The Center for Right Relationship), Master in NLP (from the Barcelona-based Gestalt Institute), Systemic Consultancy (STC Systemic), and training in Organizational Constellations (with Bert Hellinger Institute in the Netherlands) and Industrial Engineering (Polytechnic Institute of Zaragova). To these, Pilar has added classwork in Emotional Intelligence and Gestalt Therapy which she uses to deepen her coaching effectiveness. Pilar’s rich client list includes Airbus, Procter & Gamble, Lilly, Bayer, Desigual, Grifols, Loreal, Telefónica, Pfizer, Grupo Santander, Bankinter, La Caixa, Sanitas, Ferrovial, and IAC. She is fluent in Spanish, English and some Portugese. As an international consultant fluent in 5 languages, (German, English, French, Spanish, Russian.) Peter Stolze brings his expertise in cultural intelligence and his global educational background to the team. He has consulted with and instructed at a multitude of international corporations and institutes of higher learning spanning the past two decades. 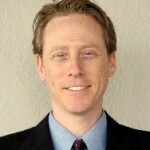 Peter holds a Ph.D. from University Kiev and a Master of Business Administration from the University of Miami with a concentration in International Business and Marketing. Also, Peter was a Graduate Political Scientist at the Institute of International Relations in Moscow where he graduated in International Relations MO specializing in Africanistics. Peter has worked with Procter & Gamble, Bayer, Owens of Illinois, ESTEL, Nestle, Ewald, Medok, and Harley-Davidson. 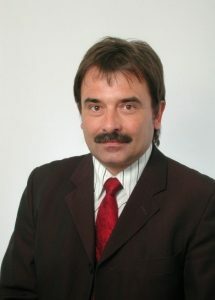 He has been a Guest Lecturer at Hochschule Anhalt since 2005 and served as Guest Professor at Russia’s PERM National Research Polytechnic University. His diverse background includes acting as advisor and Head of Exports for a number of internationally renowned cosmetic firms in Italy, Germany, Russia and the U.S., such as Wella AG and Londa GmbH. Prior to these posts, Peter managed the European Distribution Center for Optical Coating Laboratory, Inc., and managed import/exports for VIAD. Peter specializes in Strategic and International Management, Marketing, Leadership Development, and Cultural Intelligence. In addition to the personal care industry, he has worked within the food and soft drink industry, with trade organizations across the globe, and with a variety of projects promoting cultural and scientific improvements. Susan is a firm believer that continuous improvement is critical to the success of any organization. Susan’s engaging techniques for leadership training, coaching and meeting facilitation equip individuals and teams to apply theory and skills to the complex challenges they face every day. For 30 years, she has partnered with all levels of leaders and teams in organizations that range from 5 to 50,000 employees. She specializes in work with senior-level executives, top leadership teams and boards of directors in both the public and private sectors globally. 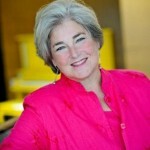 Susan is the principal and founder of Spero & Company Consultants. She earned her Bachelor’s Degree in Education at the University of Michigan and her Master’s Degree in Psychology from the University of Northern Colorado. She also enjoys choral singing, photography, exercise, travel and volunteering in the Denver-metro area. 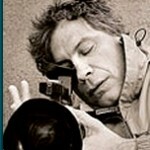 Bill DeLano designs and delivers innovative consulting and training services locally, nationally and internationally. With a passion for demonstrating how the power of collaboration can make a meaningful and profound difference for individuals, teams and organizations, Bill helps clients achieve bigger goals, form better strategies and experience greater synergy. 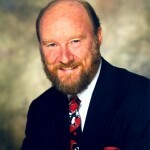 Renown as a premier provider of “experience-based” business training and development services, Bill’s trademark is his ability to translate difficult business issues into thought provoking simulation experiences. Bill’s commitment to providing comprehensive services led him to partner with thought leaders in fields of human performance and leadership. Early in his career, Bill partnered with Tony Robbins to produce the Ultimate Power seminars; worked closely with Ned Herrmann and his research in the field of whole brain learning technologies; and became a Trainer and Master Practitioner of Neuro-Linguistic Programming. Bill co-developed the change management simulation Shifting Sands in 1997 and is a certified trainer in Crucial Conversations, a powerful method that teaches teams critical communication skills in navigating potential conflict. Bill’s vision for a transformative learning environment culminated in the founding of Triangle Training Center in 1988. Since 1998, Rob has provided executive coaching, consulting and business training for a variety of organizations in the United States and internationally. He has served as the founding director the Center for Leadership & Organizational Excellence at NC A&T State University, the first of its kind in the southeast United States, and the director of Training & Development at the University of North Carolina, overseeing management, supervisory and leadership development curriculum for the University’s 12,000 faculty and staff. Recognizing the critical need for succession planning and emerging leadership development, his forthcoming book, “The New Supervisor’s Survival Guide,” provides practical and easily digestible strategies for new managers at any level. Rob is an adjunct faculty member for the Federal Executive Institute, the premiere executive leadership training facility for the Federal government, where he teaches in both the residential and customized programs. Rob received his B.A. in Psychology from the University of Delaware, his Masters degree from the University of North Carolina, and completed certification in Organizational Development through UNC-Charlotte. Rob is a seasoned practitioner in meditation, yoga, cycling, performing art, healthy cooking and work/life balance. For over 10 years Janine Underhill has helped make the invisible visible for Fortune-100 clients and nonprofit firms that need a repeatable blueprint to reach important meeting outcomes, that need to get diverse minds on board to accomplish complex team efforts, and that need to arrive at solidified leadership decisions based on quality discoveries. Utilizing Graphic Facilitation, Corporate Storytelling and Consulting, Janine helps thought leaders and innovators experience breakthroughs as they turn meetings into winning ideas and profitable outcomes. Janine practices dynamic, experiential big-picture learning processes so meeting participants can fully engage in conversation, and tether their ideas and beliefs to the big picture of the organization. We activate creative business and community strategies that engage the individual along with the entire system. Using interactive and collaborative processes, she skillfully delivers a unique product in the fields of Organizational Development and Consumer Research and Marketing. 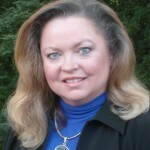 Betsey (Elizabeth) Upchurch has over 25 years of experience in organizational development. Her gentle yet direct style creates an atmosphere where people step into the difficult issues that, once traveled through, propel them to new horizons. Betsey has worked with organizations such as Bovis Lend Lease, Novozymes, N.A., Red Hat, Inc., Motorola, and Owens Corning to provide engaging and timely solutions for talent development, change management and strategic direction. Betsey’s recent work uses web technology, online simulations and webinar instructional design to provide powerful, experiential learning as well as ongoing leadership development and project management in remote environments. Melding experiential technology with online and virtual environments adds a cutting edge dimension to her consulting and training engagements. A gifted facilitator, Betsey is much in demand for teambuilding and leadership development. She is considered a leader in experiential technology and serves as Treasurer of the Experiential Training and Development Alliance, a professional member organization dedicated to furthering best practices in corporate training and development. She is certified in the Hay Group Emotional Competency Inventory, a 360°. We have been in the consulting business for over 25 years and have experienced many changes. We would not be where we are today without some of the original creators. We would like to give special thanks and recognition to two incredibly talented people whose gifts and expertise has brought Continuum to where we are today.